Most Honda vehicles have an indicator light on the dash that is yellow and shape of a wrench. The wrench light on Honda vehicles indicates nothing serious. You don’t have to worry when you see this light on the dash of your vehicle because it’s just a maintenance reminder light. What exactly does the wrench light mean? The wrench light on Honda turns on automatically when the oil life reaches 15%. And, it stays on until you reset the oil life. “Oil” mentioning here is the motor oil, which is the most frequently serviced maintenance item. The oil life is determined based on not only mileage and time since the last oil change but also how you drive the vehicle. For example, if you mainly drive in a city for a short distant frequently, the oil life reduces more quickly than the vehicle mainly driven on a highway. The vehicle computer monitors the sensors, collect the information, and reduce the oil life accordingly. After you change the oil, you have to reset the oil life to 100%. It doesn’t reset automatically. When you reset the oil life, the wrench light is also cleared and disappeared. Here is how to reset the oil life. Press and hold the Select/Reset knob or button when the oil life is shown on information display until the oil life starts blinking. The information display shows a code along with the oil life. The code is a combination of alphabet (either A or B) and number(s) 1 through 6. Each alphabet and number has the following meaning. For example, when the information display says, “A13 OIL LIFE 15%”, it means an oil change, tire rotation, and transmission fluid change are due. The wrench light on Honda vehicles is just a maintenance reminder light. The light is a part of Honda’s maintenance reminder system. The system also shows the oil life and other maintenance schedules. The system doesn’t only use time and mileage to determine the oil life and maintenance schedules but also information on how you drive. 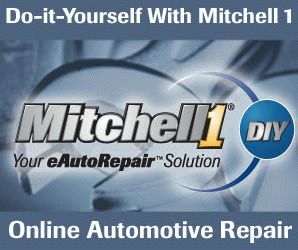 It may be important to follow the maintenance schedule especially if your vehicle is under warranty. Read Also: What does Wrench Light on Ford vehicles mean? This entry was posted in Maintenance and tagged Honda, Oil Change on April 7, 2019 by admin.